Recent trends in utility operations have significantly increased the need for new approaches to piping risk management. In some cases, load cycles are accumulating at many times the rate of the original design. High-energy piping presents particular challenges for risk management because of its structural complexity, combined with the difficulty of inspection. The approximate nature of the ASME B31.1 code calculations and variable hanger behavior over time add to the challenges. Cracking of wyes and tees. Excessive bending stress on girth welds due to hanger problems. We recommend piping assessments based on design as well as on operating pressures and temperatures. The effects of cyclic loading should also be taken into account. The results may be used to evaluate hanger position data obtained from hot and cold walk-downs. Risk and minimum remaining life may be estimated, which will be defined by a few critical regions. Taking into account previous inspection data, recommendations are made for specific areas, and methods for future inspections. 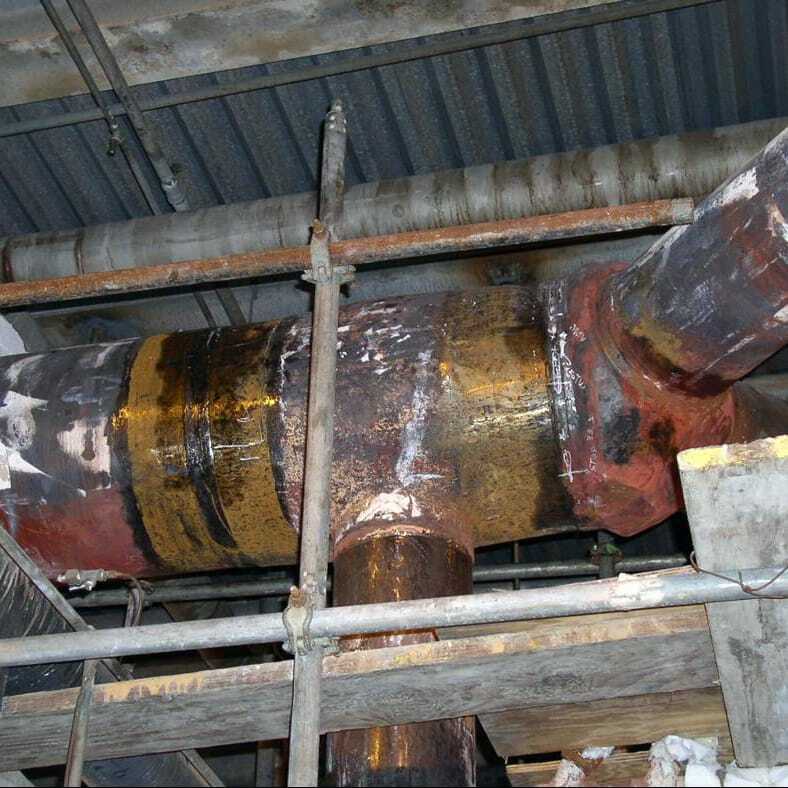 Inspection to determine the condition of piping at critical regions includes OD measurement, ultrasonic testing for thickness measurement, cracking and creep damage, surface replication and metallurgical assessment. 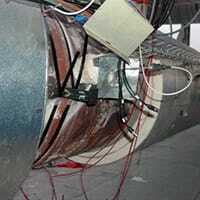 Acoustic emission testing to EPRI guidelines may also be recommended. When minimum rupture life is exceeded, removal and testing of samples from critical areas may also be recommended. Recent developments in this area have included monitoring of hanger loads and movements as a means of identifying changes in behavior. This allows for realtime warning of any changes to hangers, and therefore to piping stress and integrity.